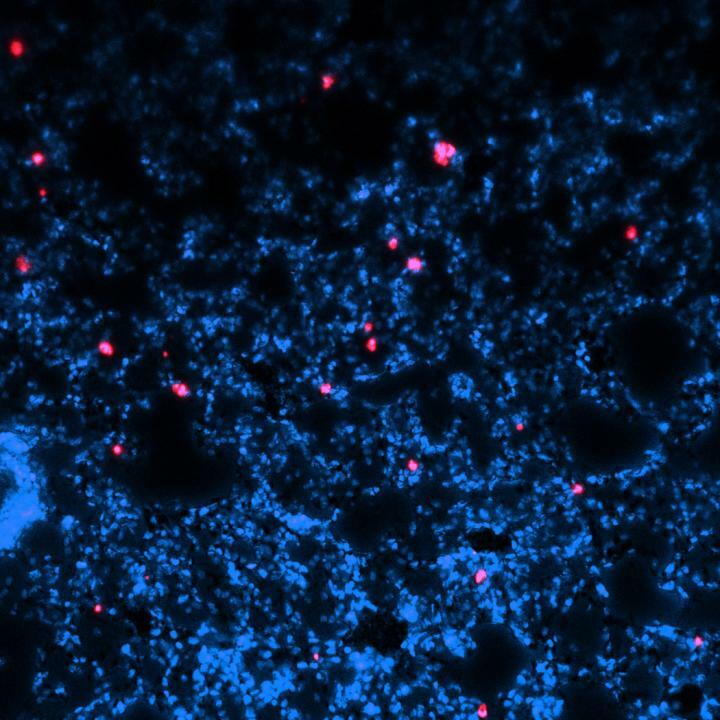 A new delivery system for bacteriophages–viruses that selectively attack harmful bacteria–could help give doctors a new way to battle lung infections that threaten older patients and people with cystic fibrosis. Phage therapy is a promising alternative to antibiotics because it attacks specific pathogens, does not harm the body's normal contingent of bacteria and won't contribute to multi-drug resistance. However, therapeutic bacteriophages can be difficult to purify and challenging to deliver to the site of an infection, especially when that location is the lungs. Reported July 16 in the journal Nature Biomedical Engineering, the research was supported by the National Institutes of Health and The Children's Healthcare of Atlanta Pediatric Technology Center, a partnership between Georgia Tech and Children's Healthcare of Atlanta. "Phage delivery is an area where the right type of material could make a difference in therapeutic applications," said Andrés García, the Rae S. and Frank H. Neely Chair and Regents' Professor in Georgia Tech's George W. Woodruff School of Mechanical Engineering. "We set out to engineer a biomaterial carrier that would keep the phage active while delivering them deep into the lungs in a uniform fashion. This is a key step in moving this potential therapy forward." "When we immobilized the phage on the particles, we could retain good activity for days – as long as two weeks at room temperature," García said. "We could store these particles, and when we delivered them to mice, get good distribution through the lungs. We believe the particles help stabilize the phage and improve the distribution in the lungs." Nael McCarty, Marcus Professor of Cystic Fibrosis and director of the Emory+Children's Cystic Fibrosis Center of Excellence at Emory University and Children's Healthcare of Atlanta, and one of the study's co-authors, said the development of the delivery technique potentially advances the use of phage in treatment of cystic fibrosis. "Cystic fibrosis is a common, life-limiting genetic disorder that affects many organ systems, but the most important impact on human health is chronic infections of the lung. Bacterial pneumonia that is resistant to multiple drugs is a challenge we must deal with frequently with cystic fibrosis," he said. "Treatment with antibiotics often makes space for other opportunistic bacteria to take hold. Phage therapy could complement existing therapies without worsening antibiotic resistance. The technique developed and tested through this important collaboration could address one of the major challenges we have with phage therapy, which is delivery." Though the phage aren't believed to attack mammalian cells, they can create an immune system response, and produce a toxins that can be harmful. They are grown in cultures containing the bacteria they attack, so separating them at the purity levels required is another challenge. This work was funded by the National Institutes of Health (R01 AR062920 [AJG], F30 AR069472 [CTJ], S10 OD016264 [AJG]), a research partnership between Children's Healthcare of Atlanta and the Georgia Institute of Technology, and by the Children's Pediatric Research Alliance. The content is solely the responsibility of the authors and does not necessarily represent the official views of the National Institutes of Health or the Centers for Disease Control and Prevention.